You are here: Home / Video / How Good Are Your Exam Questions? 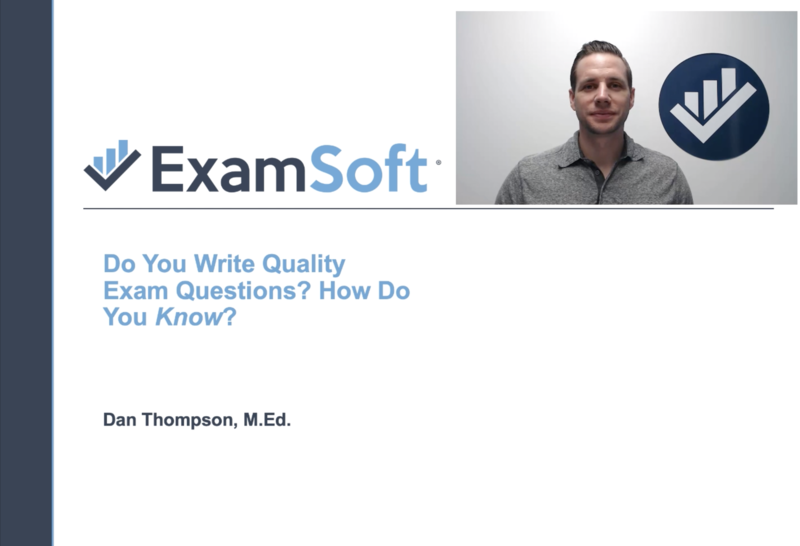 The information needed to evaluate the quality of exam questions and assessment items is found in student performance data by ExamSoft. Experience goes a long way, but the detailed feedback collected after student assessments can give educators clear insight into the effectiveness of every question.